The series is framed by meetings between Elrond and Maglor in the Third Age. Maglor recounts the events of the First Age to Elrond and the viewer. Season 1 covers the Fall of the Noldor, including the birth of Feanor and his brothers, the creation of the Silmarils, the Kinslaying, the journey to Middle-earth, the First Battle and the Battle-under-stars. Elrond receives a message from Cirdan, saying he has spotted the person Elrond has been searching for. Elrond rides to Lindon, where Cirdan directs him onwards. Elrond finds the elf on the shores of the sea, Maglor, son of Feanor. Elrond wishes to bring Maglor to Rivendell, but Maglor cannot come. 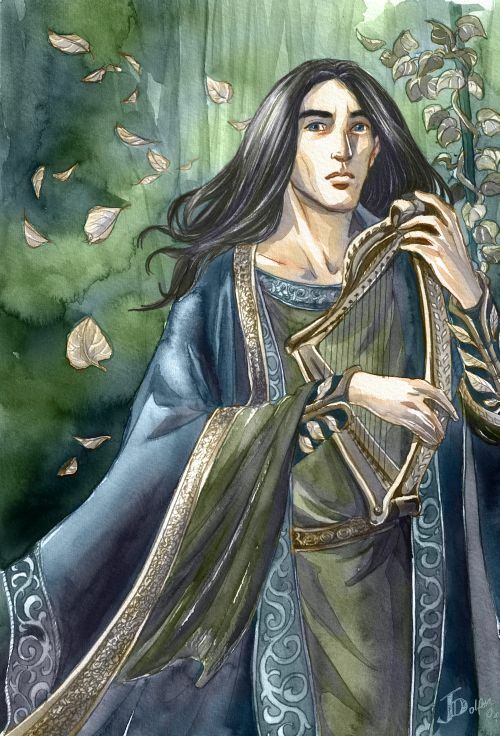 Maglor begins his story, the story of the Noldor, beginning in Valinor. 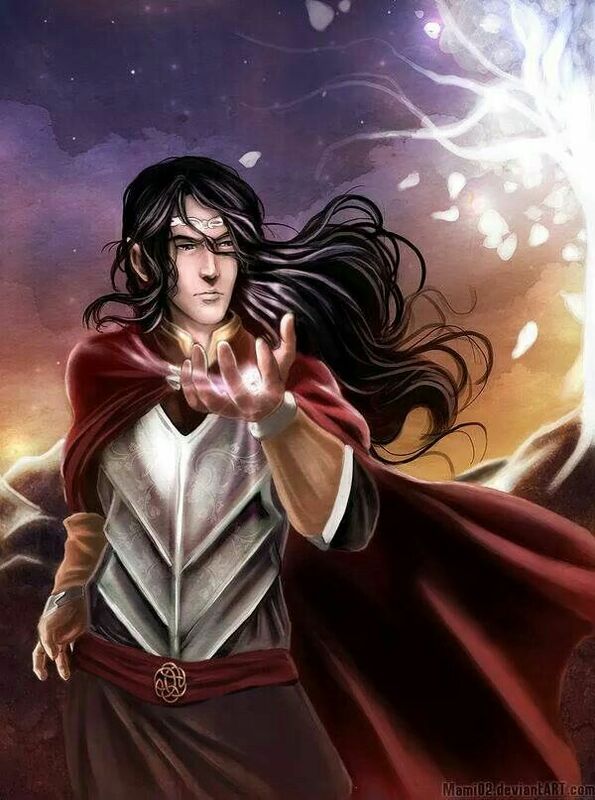 His father, Feanor, is born to Finwe and Miriel. Miriel dies during childbirth. Finwe remarries and has two more sons – Fingolfin and Finarfin. Feanor opposes his father’s remarriage. Feanor is close to Mahtan, Miriel’s father. Mahtan teaches Feanor craftsmanship and writing. Feanor devises Tengwar. He weds Nerdanel and has seven sons, one of them Maglor. Feanor turns his mind towards making gems. He is approached by a Valar, Melkor, but sees through his lies. The lives of the elves beneath the light of the Two Trees in Valinor are detailed. Feanor’s relationship with his brothers and sons and Finwe’s meetings with the Valar. Melkor and Manwe discuss the elves. Manwe warns Melkor not to interfere, reminding him of his past. Adapted from chapters ‘Of Eldamar and the Princes of Eldalie’ and ‘Of Feanor and the Unchaining of Melkor’ of The Silmarillion. Throughout the first season, cold open prologues will detail the years before Feanor, including the Two Lamps, the War between the Valar and Melkor, Melkor’s imprisonment and freedom, the Awakening of the Elves, Thingol and Melian and the Elves’ journey to Valinor. Begins with the Two Lamps being destroyed by a massive malice and the destruction caused by their fall. Shows Utumno, and the forces of balrogs and other creatures contained within. – Feanor approaches his niece Galadriel, struck by the beauty of her hair. He asks for strands from her hair but is refused. Galadriel warns Finarfin, she sees only darkness in Feanor’s love. – Galadriel goes to live with the Teleri in Alqualonde. – Melkor confronts Feanor due to his jealousy. He plays upon Feanor’s pride to convince him Fingolfin plans to usurp his position. – Melkor tells Fingolfin Feanor is planning to drive him out of Tirion. – Finwe calls the lords of his house to resolve the issue. – Feanor privately and publicly threatens Fingolfin. – The Valar exile Feanor to Formenos. Finwe follows Feanor as a sign of support. Adapted from chapters ‘Of the Beginning of Days’, ‘Of Feanor and the Unchaining of Melkor’ and ‘Of the Silmarils and the Unrest of the Noldor’ of The Silmarillion and ‘The History of Galadriel and Celeborn’ from Unfinished Tales. The Creation of the Two Trees. Maglor recounts to Elrond the names of the Valar. Fingolfin offers his hand to Feanor, recognising his place as eldest and heir of Finwe. 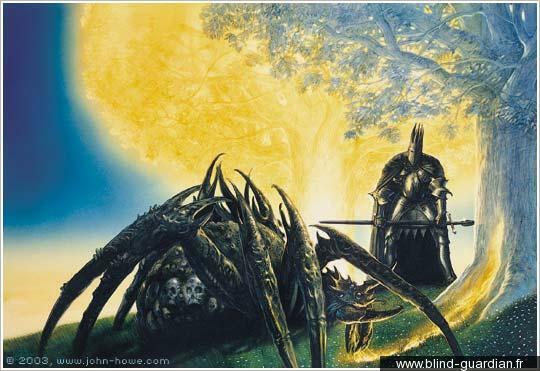 Melkor and Ungoliant travel to Valinor. As Feanor and Fingolfin are being reconciled, Ungoliant destroys the two trees. 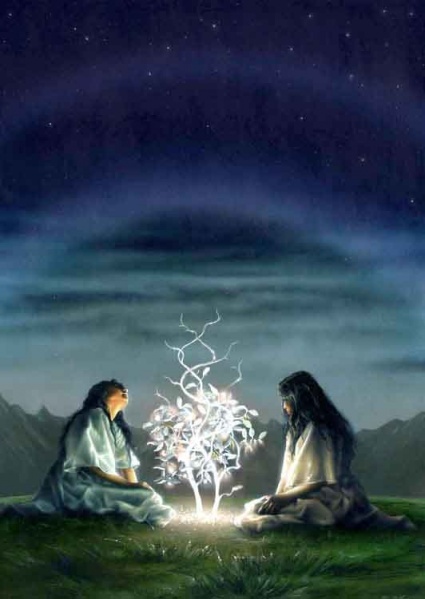 Yavanna examines the Two Trees and finds only the light of the Silmarils can restore them. Orome and Tulkas go after Melkor with the Vanyar. Manwe asks Feanor to give them up, but he refuses. Adapted from chapters ‘Valaquenta’, ‘Of the Beginning of Days’ and ‘Of the Darkening of Valinor’ from The Silmarillion. Yavanna asks Manwe for protection, as she fears Elves, Men and Dwarves will destroy her plants and animals. Manwe gives her a vision of the Ents, who will protect them. An impenetrable black fog falls over Formenos. Finwe alone goes out to face it. He is killed by Melkor. Melkor and Ungoliant force their way in and steal the Silmarils. Feanor gives an impassioned speech to the Noldor. He rebels against the Valar and leads the Noldor to Middle-Earth. The Noldor are convinced to go. Finrod and Fingon are among Feanor’s supporters, while Turgon and Glorfindel advise against it, but follow their families. 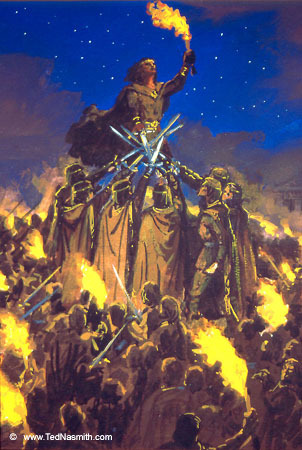 Feanor gathers his sons and swears the Oath of Feanor, despite Fingolfin and Glorfindel’s objections. The Oath states they will fight anyone who withholds the Silmarils from the descendents of Feanor. Nerdanel refuses to follow Feanor. She begs for Amras and Amrod to be left with her. Feanor refuses. Finrod is forced to choose between his kin and his beloved Amarie of the Vanyar. He chooses to follow the Noldor. Adapted from chapters ‘Of Aule and Yavanna’ and ‘Of the Flight of the Noldor’ from The Silmarillion and ‘The Grey Annals’ from The War of the Jewels. Tulkas and the Valar wage war on Melkor. Utumno is destroyed and Melkor is imprisoned. Aule begins work on the Sun and Moon. From afar, a great Eagle follows them. Feanor and his sons try and persuade the Teleri to give him their ships. The Teleri refuse to go against the Valar. The Noldor steal some ships, but the Teleri throw them off into the harbour. The Noldor and Teleri join in battle. Galadriel tries to intervene. When her pleas are ignored, she fights for the Teleri. Fingon and his host come to Alqualonde and join the fight under assumption that the Teleri attacked Feanor. Finarfin and Fingolfin arrive and Feanor lies to them about the Kinslaying. Feanor and his men take the ships. Fingolfin and Finarfin travel north along the coast on foot. 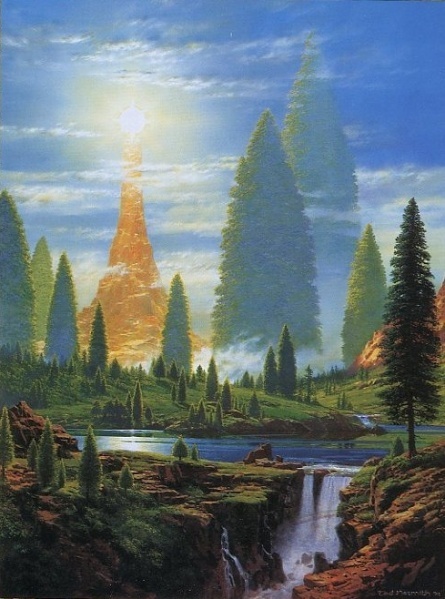 Mandos appears on the mountains and proclaims the Doom of the Noldor. Hearing the truth, Finarfin takes his host and turns back to Valinor. 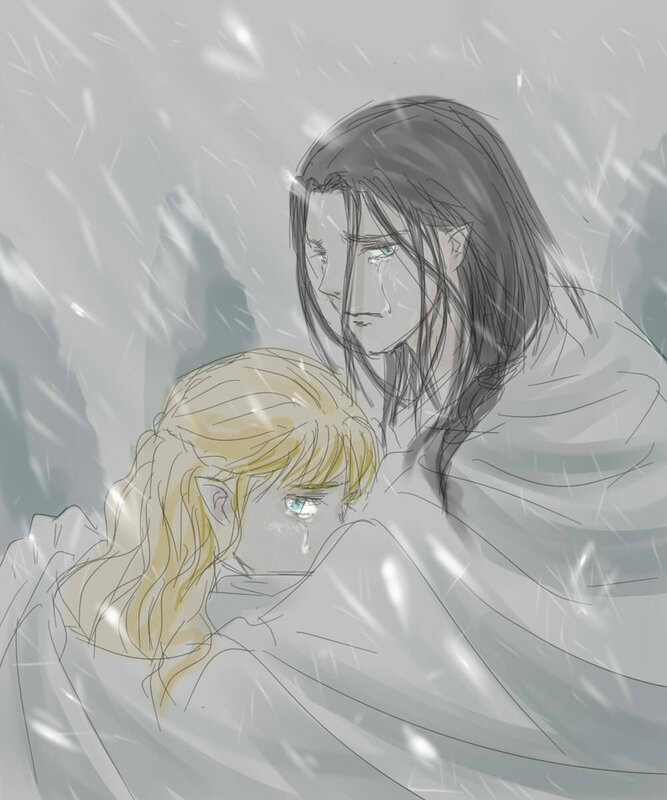 His children remain with Fingolfin. Adapted from chapters ‘Of the Coming of the Elves and the Captivity of Melkor’, ‘Of the Sun and Moon’ and ‘Of the Flight of the Noldor’ from The Silmarillion and ‘The History of Galadriel and Celeborn’ from Unfinished Tales. 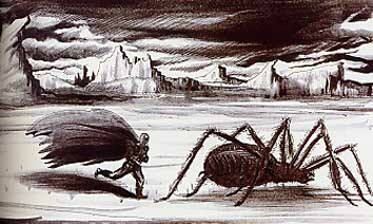 Morgoth and Ungoliant reach Middle-Earth. 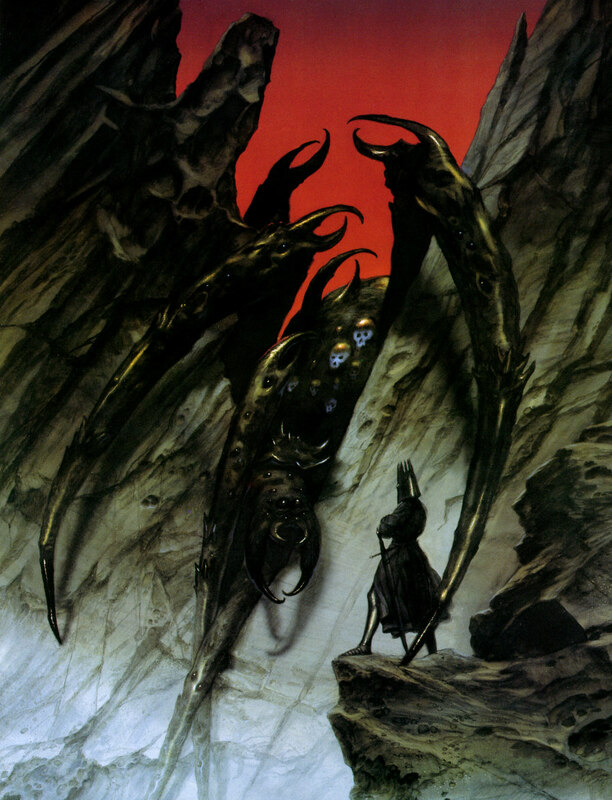 Once in sight of Angband, Ungoliant turns on Morgoth demanding the Silmarils. 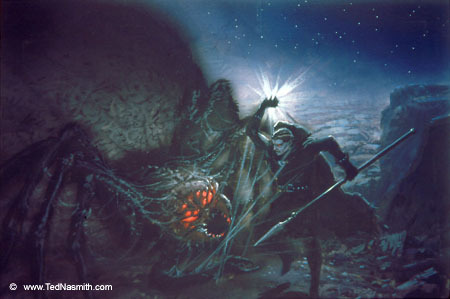 Ungoliant attacks him, and his scream reaches Gothmog and the balrogs, who rescue him. Ungoliant flees. Feanor speaks with Fingolfin. He will sail across the sea to Middle-Earth and send the ships back for Fingolfin. Feanor burns the ships. However he leaves his son on the ships, accidentally burning him alive. Maedhros refuses to take part in the burning, as his friend Fingon was still in Aman. 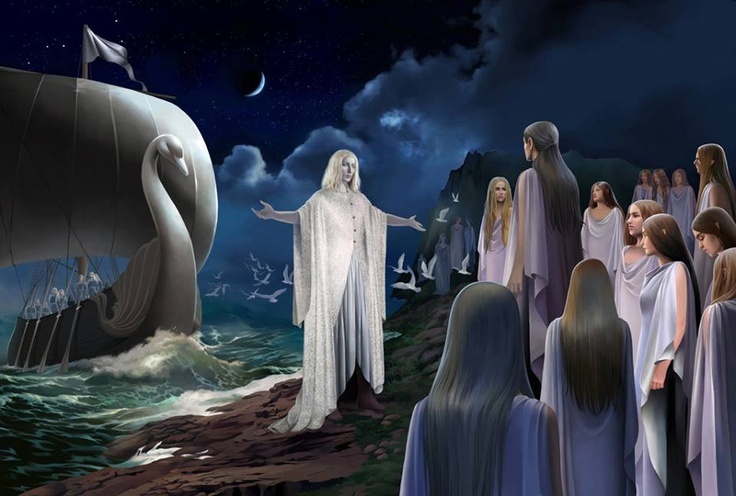 Galadriel decides to leave Valinor. With Celeborn she sails over the sea to Middle-earth. 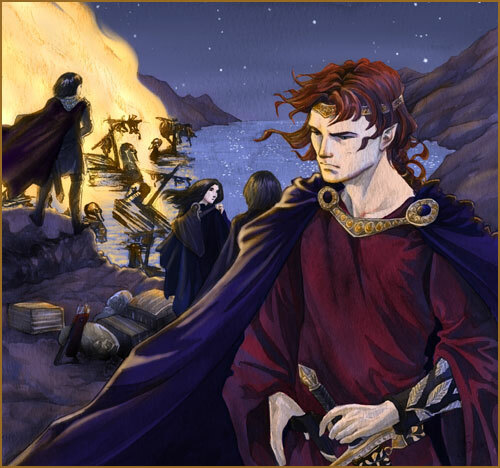 Fingolfin sees the smoke of the ships from afar. 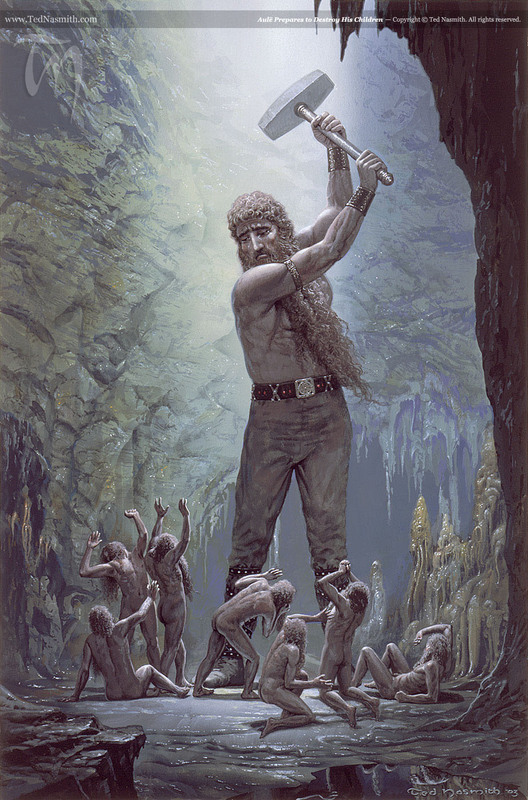 Refusing to turn back, he leads his people through the ice desert of Helcaraxe. They push on through the ice desert, though many die. 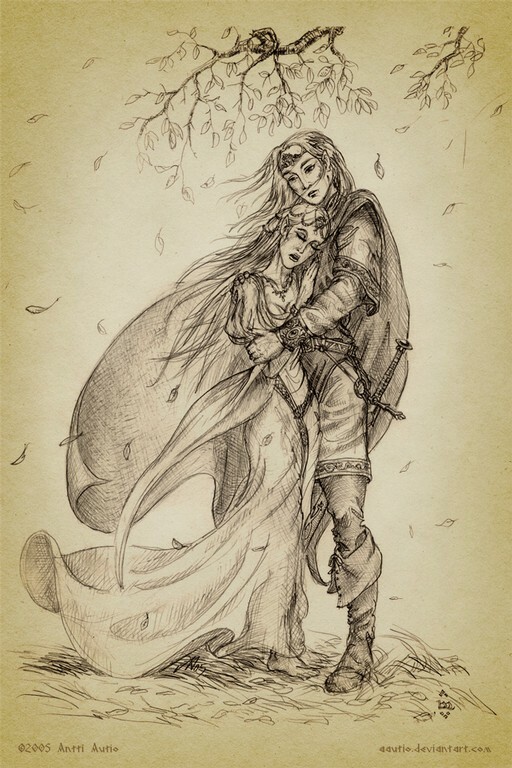 Turgon loses his wife Elenwe when she falls under the ice. Adapted from chapters ‘Of the Coming of the Elves and the Captivity of Melkor’ and ‘Of the Flight of the Noldor’ from The Silmarillion.